Write a menu‐driven class to accept a number from the user and check whether it is a Perfect number or not in Java. 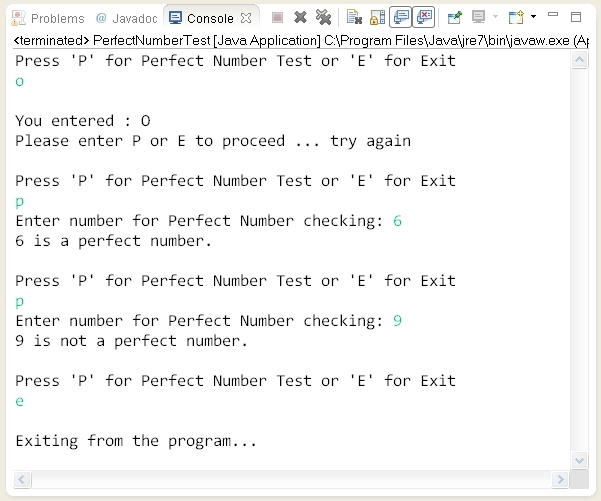 Program to demonstrate a menu‐driven class to accept a number from the user and check whether it is a Perfect number or not in Java. than the number itself. Example: 6 = 1 + 2 + 3.